Learn how to keep tabs on your existing debts and understand your credit rating. Credit reports are maintained by organizations known as credit bureaus or credit reporting agencies. There are two operating in Canada – Equifax and TransUnion. You can go directly to Equifax and TransUnion to get a free copy of your credit report once a year, and checking your credit report will not affect your credit rating. If you want to obtain your credit score you will have to pay a small fee, or you can book a free Credit Building Counselling session with Credit Canada and you'll get your credit score for free during your appointment. Just call 1.800.267.2272 to book. A record of which organizations have recently asked for your credit report. Your payment history for accounts that are reported to the credit bureau. Any information on the Public Record, such as collections, judgments, and bankruptcies. Each account shown on your credit report will have a rating, which reflects the current payment status of the account. The rating will be a number between 0 and 9. This scale is NOT linear – the numbers simply describe the current payment status. 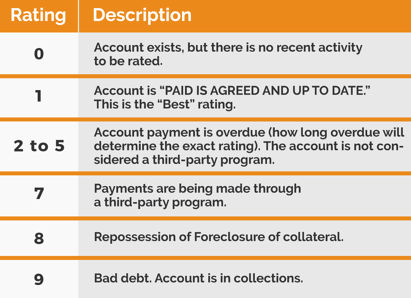 The table featured here can help you understand your credit rating. 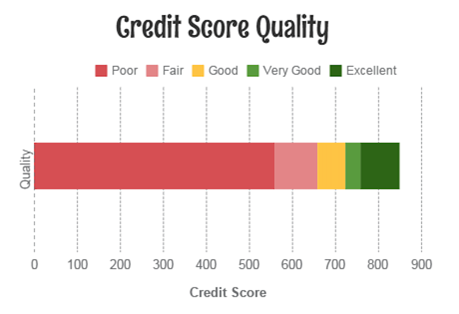 If you've ever used a credit card, have a cell phone plan or taken out a personal loan, then you've got a credit score. When you get your credit score, you will generally see a number between 300 and 850 – this is your score. 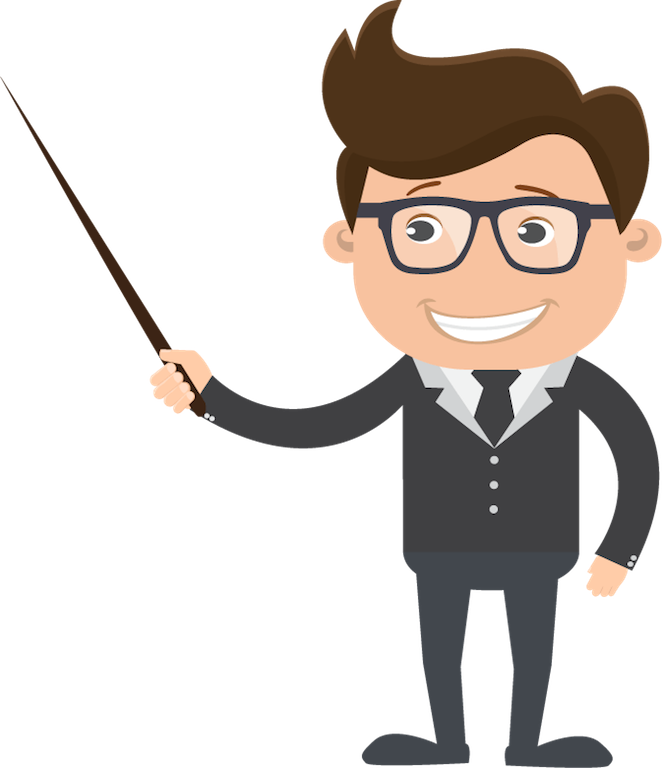 You will also receive an interpretation of your score, which can be more useful to you than the number itself. According to FICO, for people with “normal” credit profiles, payment history and credit already used make up 65% of your credit score. Any accounts in collections will show on your credit report 6 years from the date of last activity. If it's possible to start paying back debt in collections, do so, but make sure you notify your creditor and get proof of payment. Credit Canada Debt Solutions can help you resolve old debt and start rebuilding your credit. You may want to apply for a secured credit card to assist you in rebuilding your credit rating. If you find incorrect information on your credit report, contact Equifax or TransUnion so they can start the Dispute Resolution process. Don’t apply for too much new credit in a short period of time. Having a healthy credit rating will help you access affordable credit and realize the dream of home ownership. There are a lot of myths and misunderstandings about credit reports. Our professionally certified credit counsellors will help you understand how credit reporting works and how you can improve your credit score. Try to save 10-15% of your net income. If you're unemployed, try to save 2-3% of net income. Want to rebuild your credit? Take advantage of our FREE Credit Building Counselling sessions by filling out the form below.